Pete Radzwillas renovated our kitchen and we could not have been happier!! It was a major project and it was completed in only 5 weeks!! 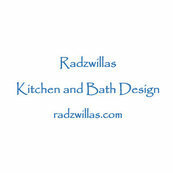 He is extremely professional and very responsive and eager to please his customers. Pete was available every day for questions and updates. He helped with design and had great recommendations. He absolutely goes above and beyond and it shows!